Puerto Vallarta, Mexico (November 12, 2018) – Whether guests are looking to arrange a festive escape, plan a special holiday for 2019 or snap up a spontaneous last minute sunshine break, Velas Resorts has announced that it will be offering additional savings and added values for Black Friday and Cyber Monday bookings on future travel. Additionally, spa credits, airport transportation, suite upgrades, unlimited golf, up to two kids complimentary, access to the resorts’ renowned hydrotherapy, and more are included at select resorts. 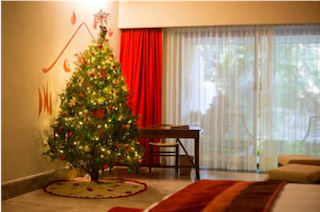 For Christmas bookings, select Velas Resorts will be including savings on the insuite trees available for guests. Velas Resorts consists of Casa Velas and Velas Vallarta in Puerto Vallarta, and Grand Velas in Los Cabos, Riviera Maya and Riviera Nayarit. At Casa Velas, an adults-only boutique hotel and ocean club in Puerto Vallarta, the Black Friday promotion features discounted suite rates starting at $232 per person per night for travel in 2018 and 2019. Up to $50 in spa credits, 25-minute massage, suite upgrade, $60 credit towards a private beach dinner and more are also offered over select dates. Additionally, a dinner for two at Grand Velas Riviera Nayarit is included with a 3-night minimum stay. 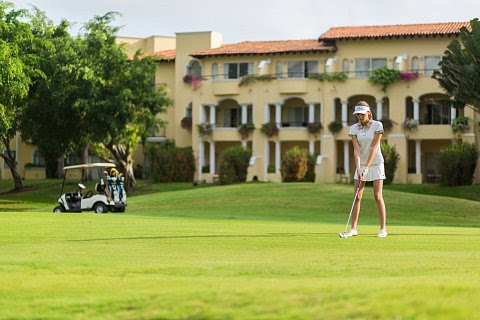 Unlimited golf at Marina and Vista Vallarta Golf Clubs, complimentary city and cultural tours, and nightly activities are also included when staying at Casa Velas. At Velas Vallarta, an all-inclusive family resort on the beach in Puerto Vallarta, the Black Friday promotion features discounted suite rates starting at $160 per person per night for future travel. Up to a $500 resort credit per room, kids (ages 4 – 17) at 50% savings, early check in or late check out, and a private dinner for two with a bottle of sparkling wine on the beach are also part of the Black Friday promotion. The AAA Five Diamond Grand Velas Riviera Maya will have rates starting at $436 per person per night for the Black Friday promotion. Kids stay free, airport transportation (value of $90 each way), a $50 credit in the SE Spa, early check in, discount for teens and more are available on select dates. 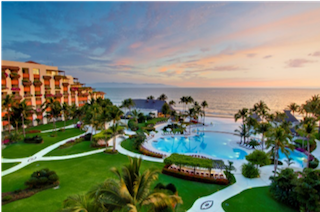 The AAA Five Diamond Grand Velas Riviera Nayarit’s rates during the Black Friday promotion start at $336 per person per night. A $50 spa credit for adults as well as 10% off in the resort’s boutique and $50 of golf credit are also included. 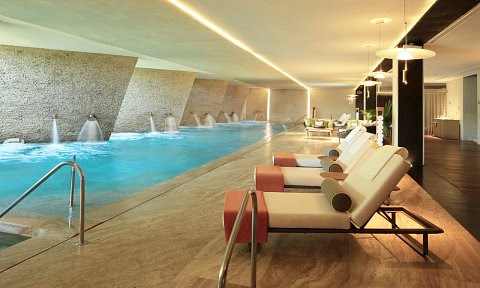 The AAA Five Diamond Grand Velas Los Cabos’ rates start at $540 per person per night. During the Black Friday Promotion, a $50 spa credit, 10% off in the resort’s boutique, and access to the Water Ceremony, as well as suite upgrades are offered. Additional inclusions vary based on travel dates and resort property. For full details on Velas Resorts’ Black Friday and Cyber Monday sale, visit https://blackfriday.velasresorts.com/. Offering unparalleled all-inclusive experiences, Velas Resorts in Riviera Maya, Puerto Vallarta, Riviera Nayarit and Los Cabos have earned 52 AAA Diamonds, including the prestigious Five Diamond Award. Other esteemed international awards for their services and facilities include Virtuoso’s “Best Spa,” Forbes’ “Coolest All-Inclusives,” Forbes’ Four Star Award, and TripAdvisor’s Hall of Fame, among others. Properties include the AAA Five Diamond Grand Velas in Los Cabos, with dramatic ocean views and unique spaces infusing every area of the resort; AAA Five Diamond Grand Velas Riviera Nayarit, which enjoys a privileged natural setting with flowering, landscaped gardens beside a long stretch of pristine beach and a dramatic backdrop of the Sierra Madre mountains; and AAA Five Diamond Grand Velas Riviera Maya, located five minutes from Playa del Carmen, offering a sophisticated all-inclusive resort experience in the Caribbean with jungle and beach settings. In Puerto Vallarta, Casa Velas is a boutique adults-only hotel and ocean club located on the Marina Vallarta Golf Course, and Velas Vallarta, a family-friendly all suites resort and spa located on Banderas Bay. Velas Resorts feature spacious accommodations, spas, a unique culinary experience at a selection of restaurants, 24-hour in suite service, fitness centers, personal concierge service, wedding inspections for couples, state of the art conference centers, extensive family programs, fully stocked mini bar and more. Eduardo Vela Ruiz, founder and president of Velas Resorts, operates Velas Resorts with brother Juan Vela, vice president of Velas Resorts, by his side. For reservations or more information, call 1-888-407-4869, email reservations@velasresorts.com or visit https://www.velasresorts.com.